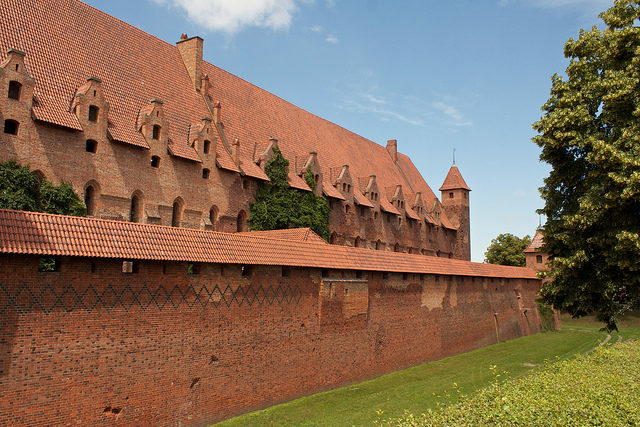 The Malbork castle located in the town of Malbork in Poland is considered to be the largest brick fortress in the world measured by land area. 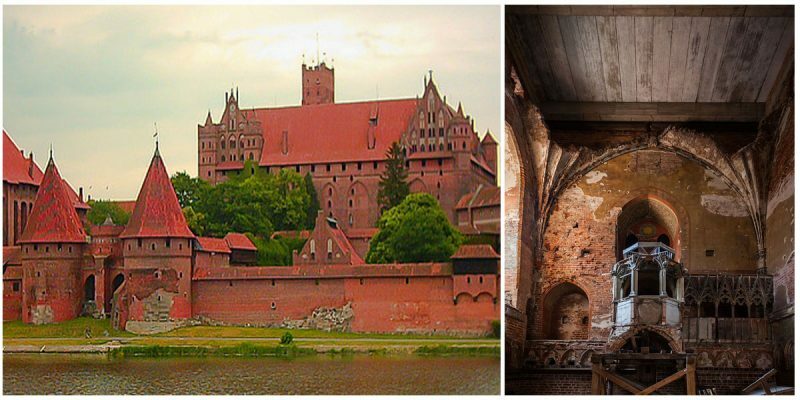 It is one of the many castles built by the Teutonic Knights in northern Poland in a form of an Ordensburg fortress. The construction began in 1275 and since 1309 it has been the capital of The Teutonic Order of Holy Mary in Jerusalem. 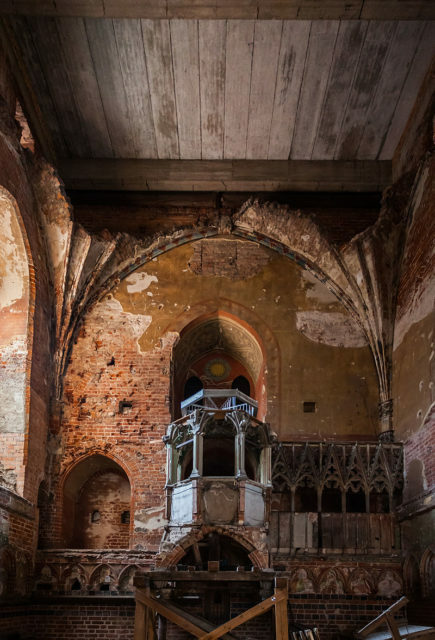 It is an astonishing example of a medieval brick castle which fell into decay until it was restored in the early 20th century. 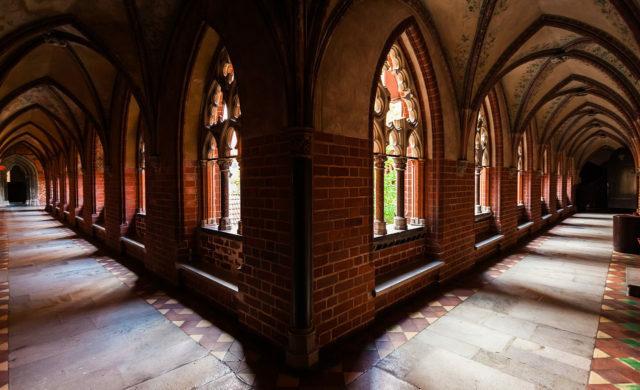 It was named after Mary, patron saint of the religious Order and it was called Marienburg. The Teutonic Order built this castle to strengthen their own control of the area and to protect Poland against the attacks of the pagan Prussians of the Baltic tribes. The evidence for the construction can only be found in the architectural studies in the Order’s administrative records and histories. Siegfried von Feuchtwagen was the Grand Master of the Knights who undertook the next phase of the fortress’ construction when he arrived in Marienburg from Venice. 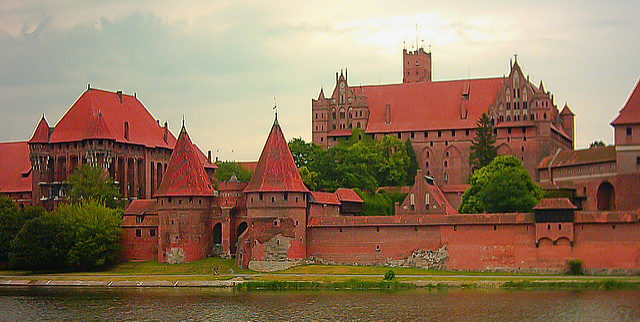 The castle’s construction became more important in 1308 after the conquest of Gdansk and Pomerania. It was 52 acres in size which is four times bigger than the area of Windsor Castle. Through the years, it was expanded several times because more room was needed for the Knights which at one point were approximately 3, 000. The fortress contains three separate castles– the High Castle, the Middle Castle, and the Lower Castle. 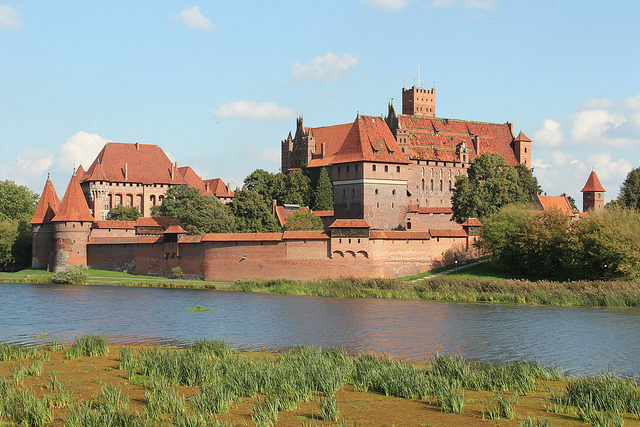 Built near the river Nogat, the castle allowed easy access for trading ships from the Baltic Sea and the Vistula which is the longest river in Poland. The Order was mostly trading with amber. In 1410, the castle was besieged after the Order was defeated in the Battle of Gunwald. In 1457, King Casimir IV Jagellon entered the castle after the Order left in 1456 because during the Thirteen Years’ War they could no longer financially manage the place. 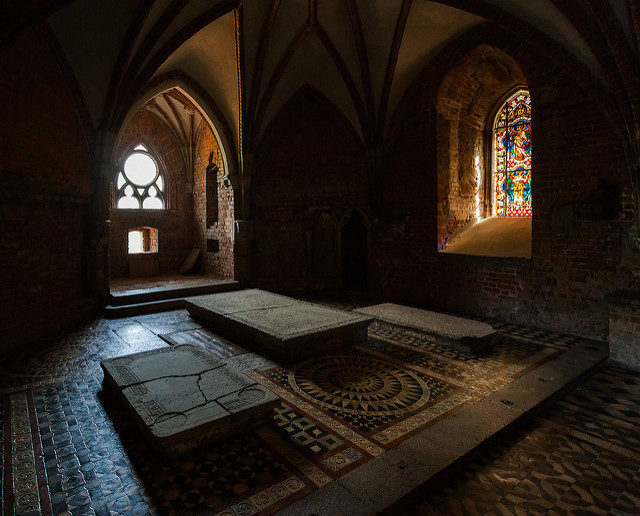 Following severe damage in the Second World War, Malbork castle became a shadow of its former self. After that, the castle has been reconstructed several times. In 1962 it was reconstructed following a fire in 1959 which caused further damage. In 2016, a new restoration has been completed. Today, it is a well-preserved medieval Gothic castle and museum. It was inscribed on the UNESCO World Heritage List in 1997. 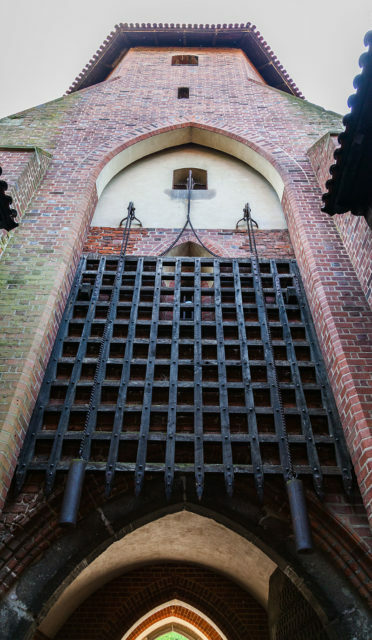 Visitors can walk through the hundreds of empty corridors and there are wooden weapons for the youngest that can be purchased at the gift shops. This entry was posted in Europe, Poland, Travel, World and tagged castles, History, Poland, Travel by rolyred. Bookmark the permalink.